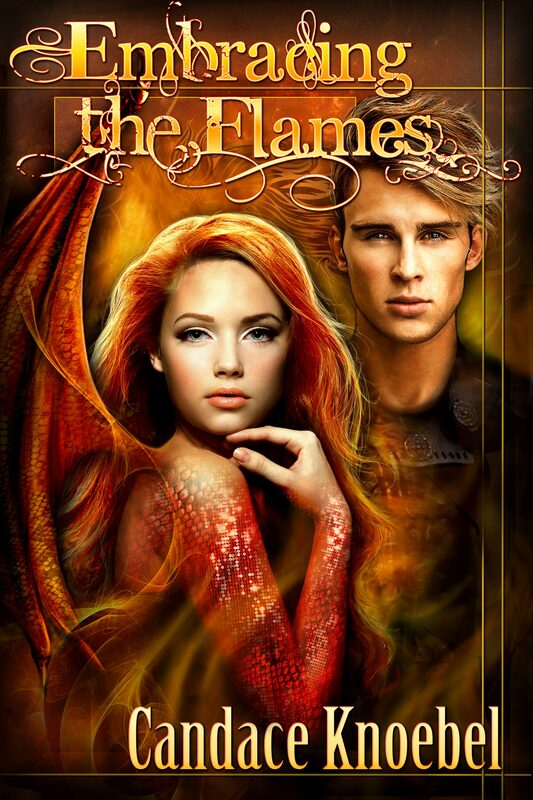 Coming soon – Embracing the Flames! Good morning everyone. I’ve met some awesome people through this blog and my writing. This post is dedicated to the coming release of “Embracing the Flame” the 2nd in the “Born in Flames” Trilogy by my sweet friend Candace Knoebel. The first book was “Born In Flames”. So, with much awaited intensity, here’s a little look at “Embracing the Flame” the cover and description. The Stone of Immortality has been protected under the watch of the Draconta for as long as time has existed. That is, until the betrayal of a Fate. Now everything is about to change. Aurora Megalos accepted her destiny without blinking-even if it meant succumbing to her dragon side. Deemed the Progeny, she left the ordinary life she knew and has done everything in her power to learn the ways of her new realm and what it means to be part dragon. But when her mentor, Astral, suddenly disappears, she is forced to take the reins. With war on the brink, she sets out on an epic journey to not only find her mentor, but to stop her Arch Enemy, Zordon, from attaining the Stone of Immortality. But what she discovers about him along the way is far worse than she could’ve ever imagined. She will be tested and pushed to the limit. Lives will be lost, love will be questioned, and a battle will begin. Wow, after that fantastic cover and description, I’m sold. As soon as the release date is known it will be posted, but for now the waiting game starts. So go on over to http://candaceknoebel.wordpress.com and show your interest. Categories: Author, Books, Covers, Love, Published Books, Reading, Reviews, Romance, Uncategorized, Writing | Tags: Books, Candace Knoebel, Coming Soon, Embracing the Flames, new release | Permalink.